The South African Weather Service has warned of thunderstorms and heavy downpours over the large parts of the country for the remainder of Monday as well as Tuesday. Forecaster Edward Engelbrecht says severe thunderstorms are expected over the south eastern parts of Mpumalanga, Eastern Cape, parts of the Free State, the Northern Cape and KwaZulu-Natal. There is also a 60% chance of rain in the central interior of the country including the southern parts of Gauteng. "We also expect a widespread of showers over eastern parts of the Eastern Cape and the western parts of KwaZulu-Natal,” says Engelbrecht. 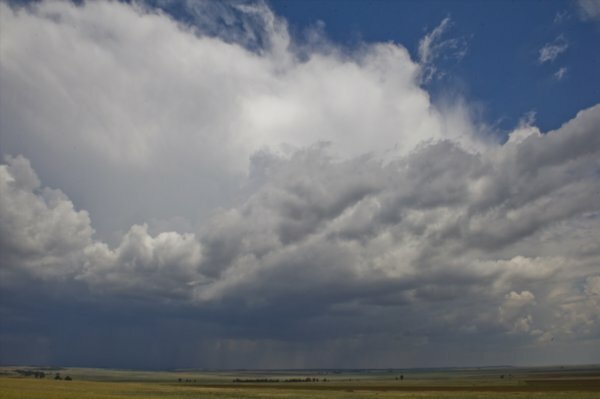 The western parts of the Free state, northern parts of the Eastern Cape and western parts of KwaZulu-Natal could also expect possible severe thunderstorms on Tuesday. Meanwhile The east of Gauteng have seen a taxi stuck under the subway on Monday morning at Stoffberg street in Brakpan, due to heavy floods. Ekurhuleni disaster and emergency management services spokesperson William Ntladi says the city of Ekurhuleni is still experiencing a wide range of rainfall. Ntladi urges all motorists to drive carefully in the rain when approaching Stoffberg street.